Not just any insole, but one that is specially molded to your foot! From our friends at SOLE, the Insulated Ultra Insole is the ultimate custom footbed. 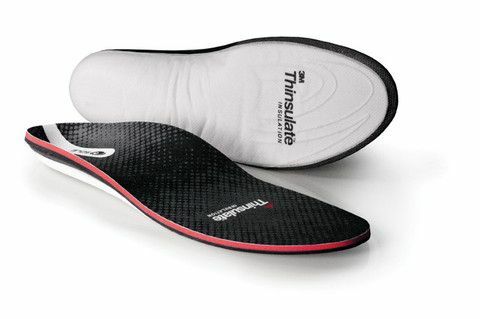 These insoles are made with a moisture-wicking top layer and a nice cushion layer underneath. You can either mold the insole to your foot by just wearing it for a few hours each day (this is what we did and it molded to our foot by the third day) or you can speed up the process by heating the insole in the oven, then wearing it. We found these insoles to be very comfortable in our hiking boots – great arch support, deep heel cups, and padded front foot support. Almost like having a custom shoe!